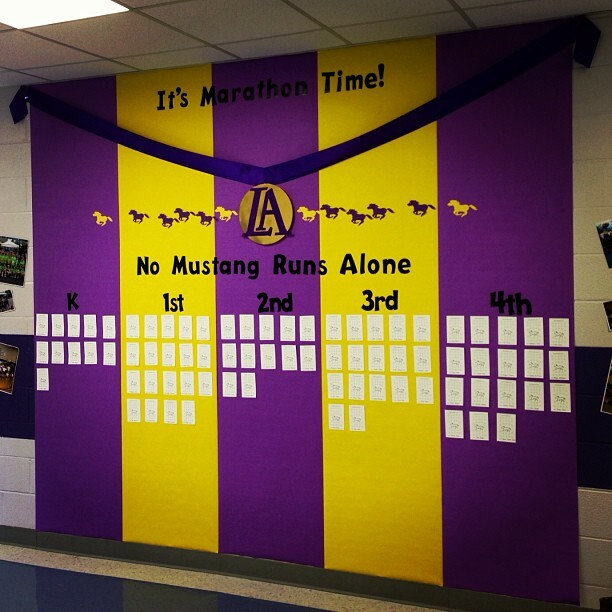 Olivia is a co-chair of the ING Rocks Country Music Kids Marathon committee at Kate’s school this year along with her friend Melanie, and this is the awesome bulletin board they put together for the students to start tracking their miles. I’m looking forward to logging a few miles with Kate towards her 8th kids marathon. Home » Blog » Family » Olivia is a co-chair of the ING Rocks Country Music Kids Marathon committee at Kate’s school this year along with her friend Melanie, and this is the awesome bulletin board they put together for the students to start tracking their miles. I’m looking forward to logging a few miles with Kate towards her 8th kids marathon.